They really are much more than "arch supports." Prescription orthotics are a custom medical device that works to realign the structure of your foot, thereby correcting foot problems. Orthotics work to improve your overall foot function while relieving and preventing problems caused by foot misalignment. Biomechanical foot problems usually result in the misalignment of bones, muscles, and connective tissue which, in turn, can create symptoms in other parts of the muscle and skeletal structure: the ankle, shin, knee, hip, lower back, spine, and even the neck. 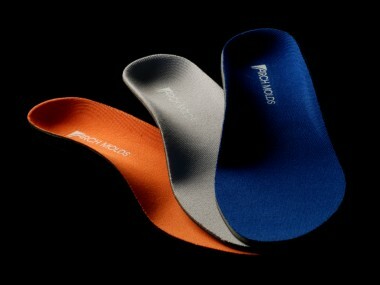 Orthotics reduce the strain on both your feet and body. They realign the feet to reduce alignment issues transferred throughout the spine. Reduced strain restores the natural balance of your body structure. Orthotics also help with Plantar Fascitis, heel and arch pain, stress fractures, tendonitis, shin splints, and similar stress and pressure related issues.